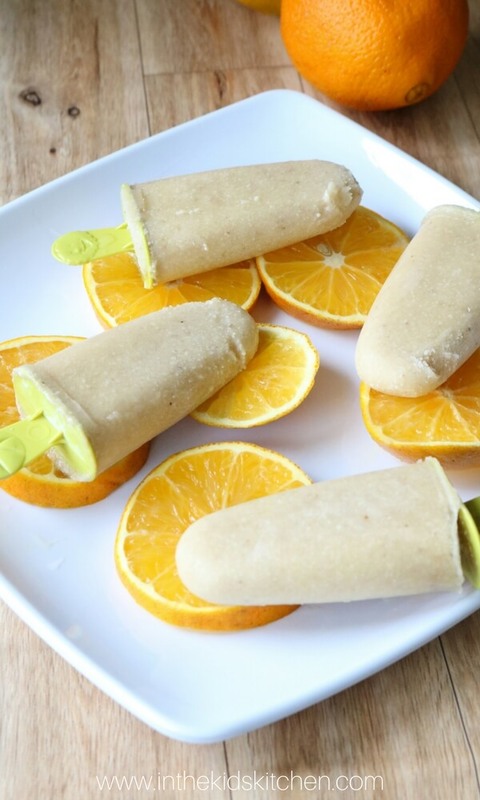 Dairy Free Cashew Milk Creamsicles are rich, creamy, and bursting with tropical fruit flavor! An easy, high protein and dairy free dessert. The dairy-free dessert selection has improved drastically since I found out I was lactose intolerant over a decade ago! However, they’re still pretty pricey, which is why we’ve started making our own at home. Plus, you know exactly what goes into each recipe and can customize to your tastes! My favorite non-dairy frozen treats are made with cashew milk — I find that it provides the richest flavor and the creamiest texture. 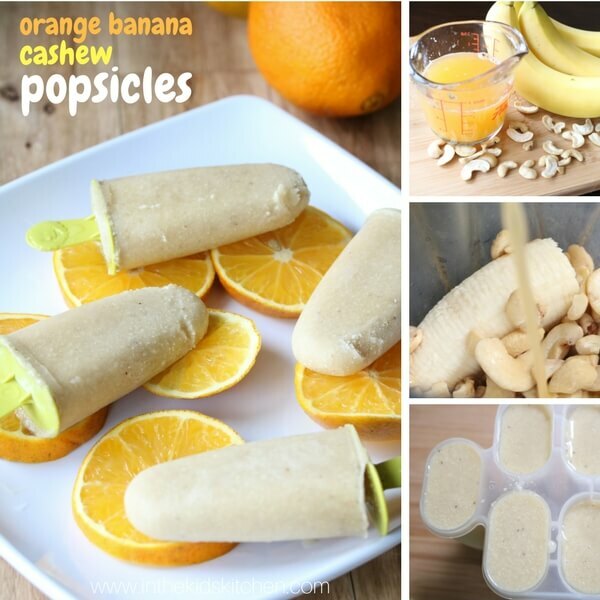 That’s why we incorporated cashews into these Orange Banana Popsicles recipe! So delicious and creamy, with a burst of tropical fruits. They also provide a hit of protein, as an added bonus! 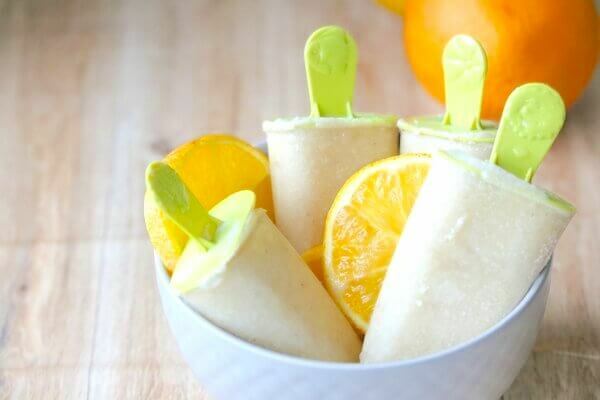 And they taste just like a creamsicle! 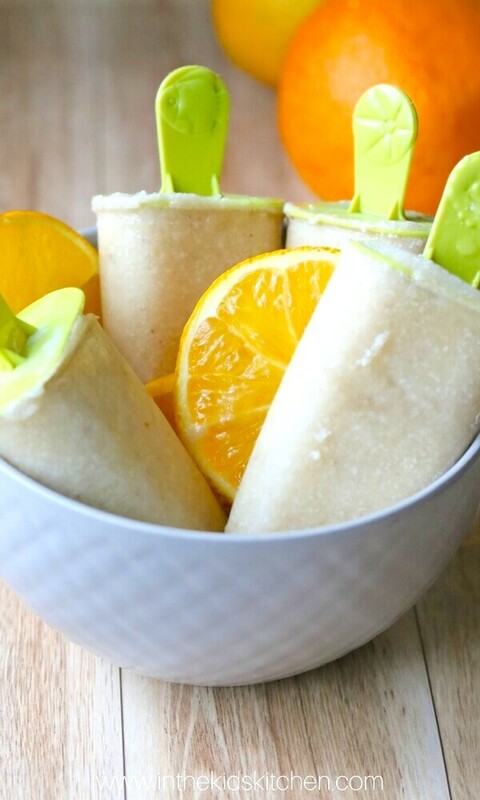 A free printable copy of our tropical cashew milk popsicles recipe is available at the bottom of the post. Keep reading for photo step-by-step instructions and prep tips! 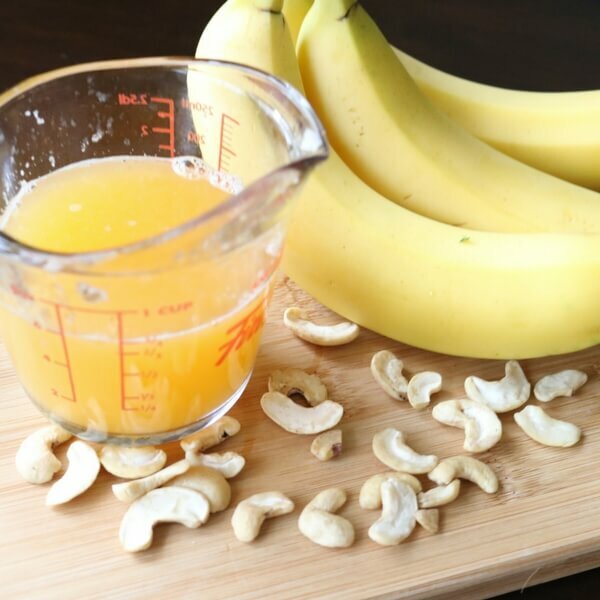 Place the cashews in a small bowl and cover with water. 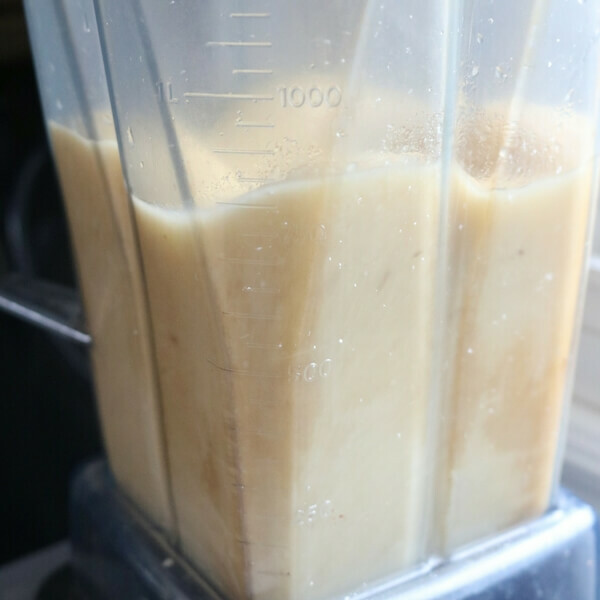 This helps them blend and create a creamy texture, almost like cashew milk. Squeeze the orange juice and add remaining ingredients to a high power blender. 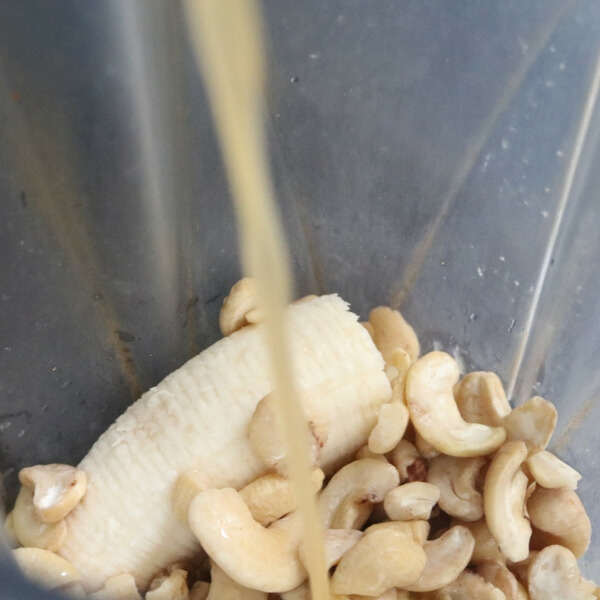 Drain the cashews and add them to the blender. Blend until everything is combined and creamy. 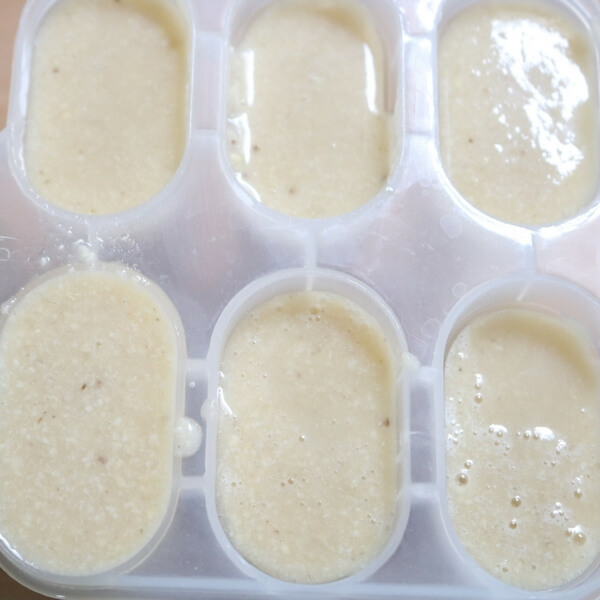 Pour mixture into popsicle molds and freeze for four hours. Place the cashews in a small bowl and cover with water. 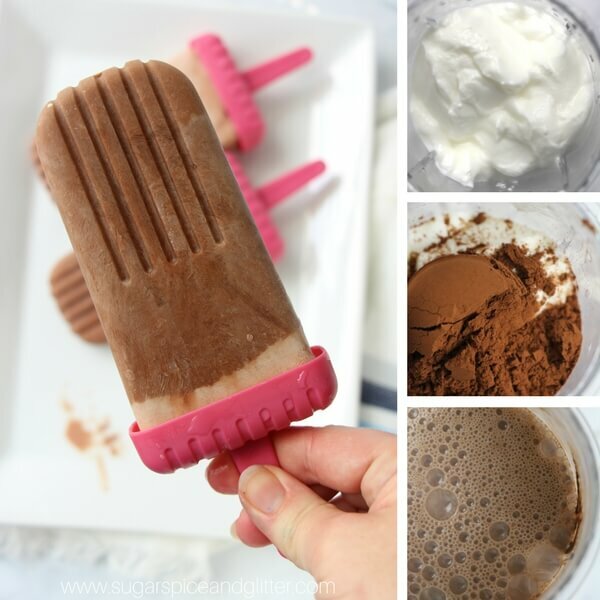 This helps them blend and create a creamy texture.